We saw these paddlers yesterday morning on our hike thru the New York Botanical Garden. The water was amazingly clear. But that doesn’t necessarily mean clean we were told. 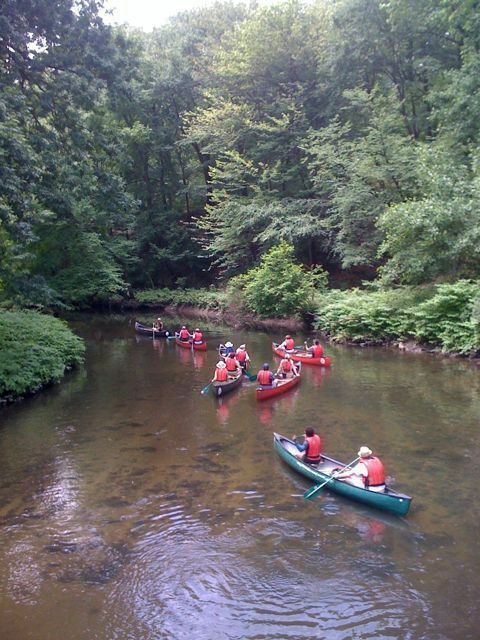 This was a private canoe tour but the Bronx River Alliance schedules public tours too. 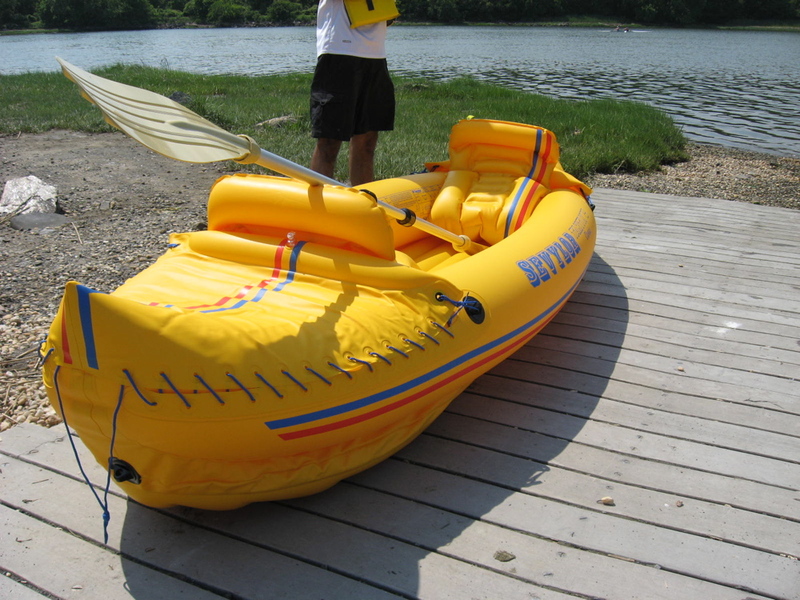 One day last summer the Big Guy came home with a large box and two life preservers announcing we were now the proud owners of an inflatable kayak. 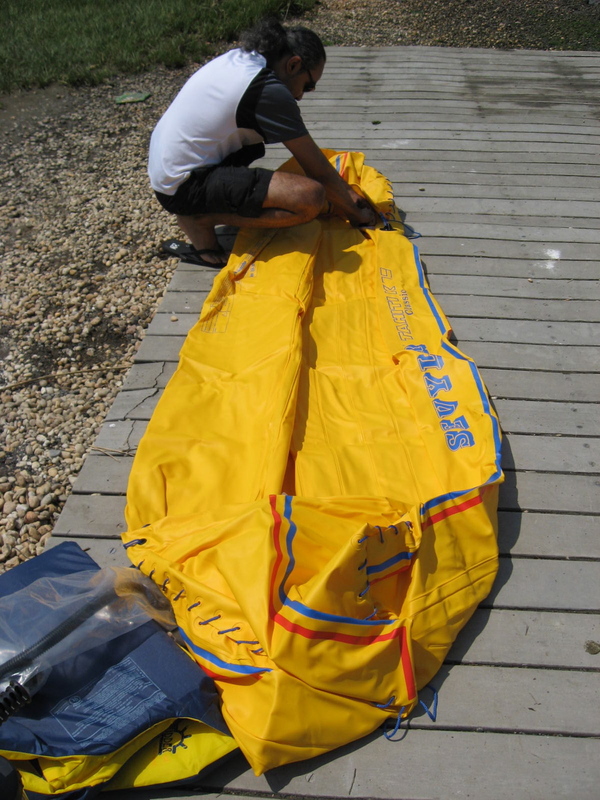 We took it out of the box and launched it only once last summer and then again a couple of weeks ago. I named it the SS Barracuda after the barracuda I caught in Jamaica last spring. 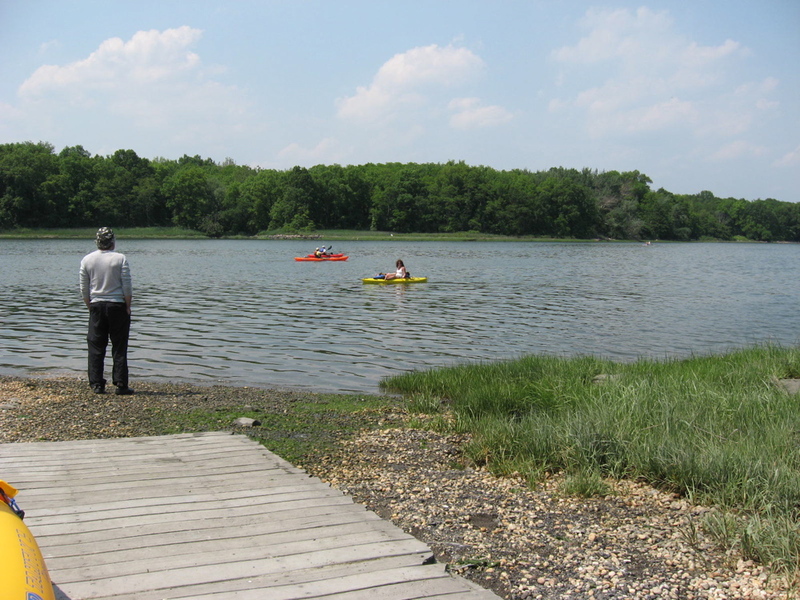 Orchard Beach has a lagoon with a kayak and canoe launch. Who knew? After passing the “toll booths” into the beach parking lot, make a left and head to the northwest corner. The launch is there. The lagoon is actually quite calm and restful. We like to drift and watch the shadows on the trees cast by the airplanes on descent into LaGuardia. The SS Barracuda is a two person kayak and we haven’t ventured out beyond this protected lagoon. 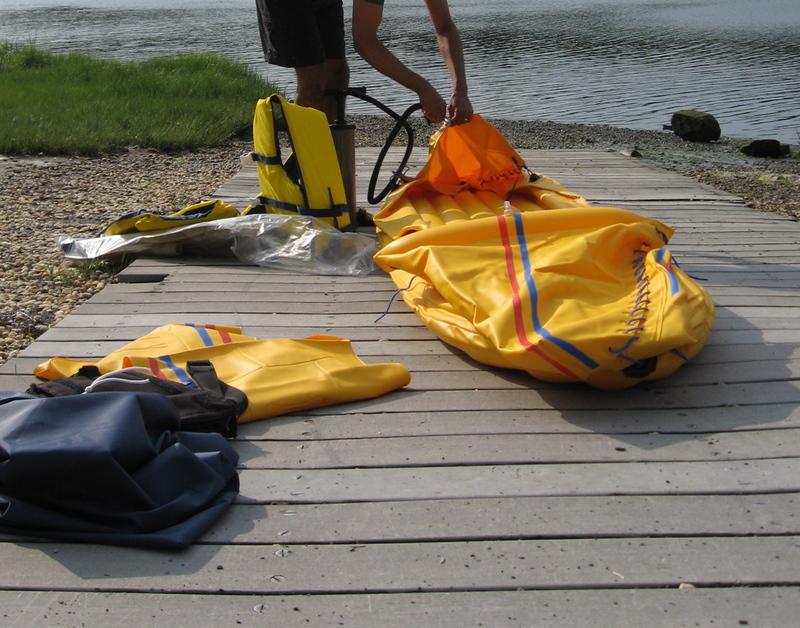 It opens out into the mouth of the Long Island Sound after all and I’m a little chicken about mixing in with boat traffic and tides in an inflatable kayak. I can feel the current sloshing under my cheeks and that’s just enough for me for now. Our paddling technique, though, is getting better, we spin around less. 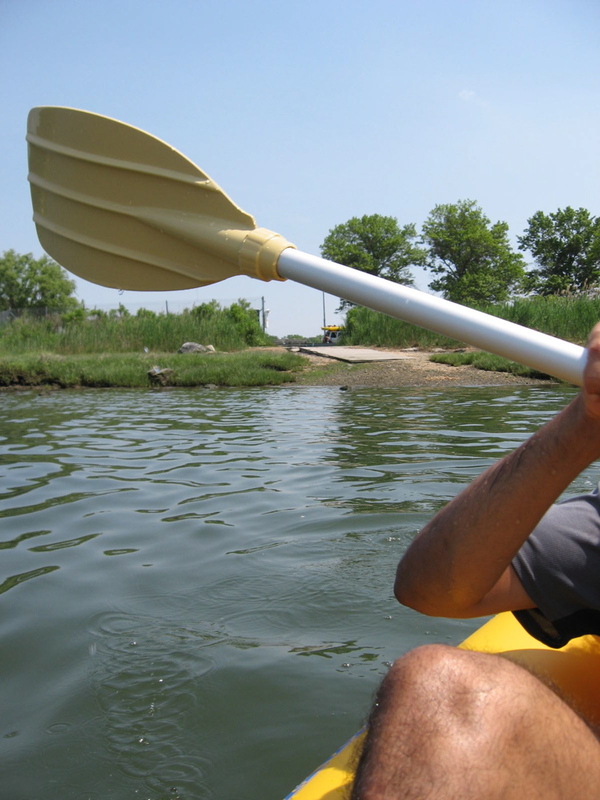 (Our paddle was too short, better once we extended it.) 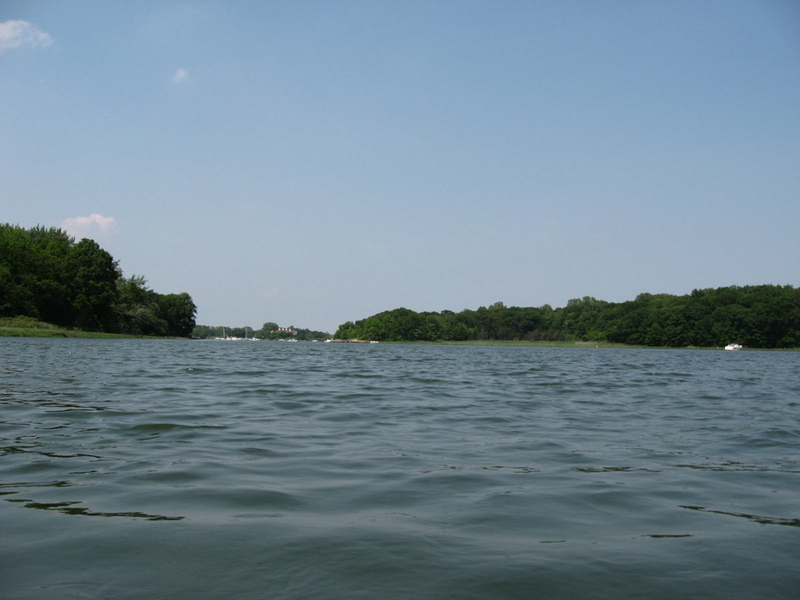 We met canoers who’d spent a couple of hours out. 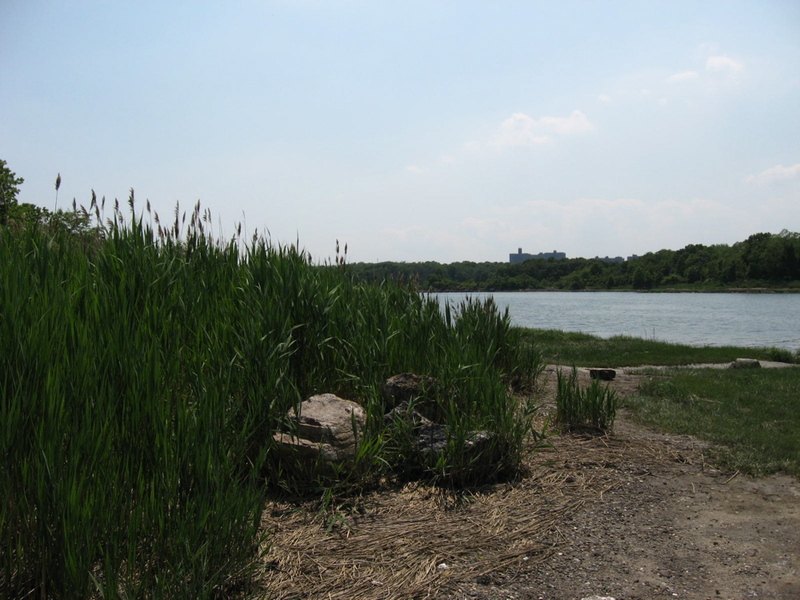 There are many small islands off the coast of the Bronx. One couple told us they went out to “the bridge”. I thought the Throgs Neck Bridge, but we think she was referring to the City Island Bridge, which would be a much safer trip. 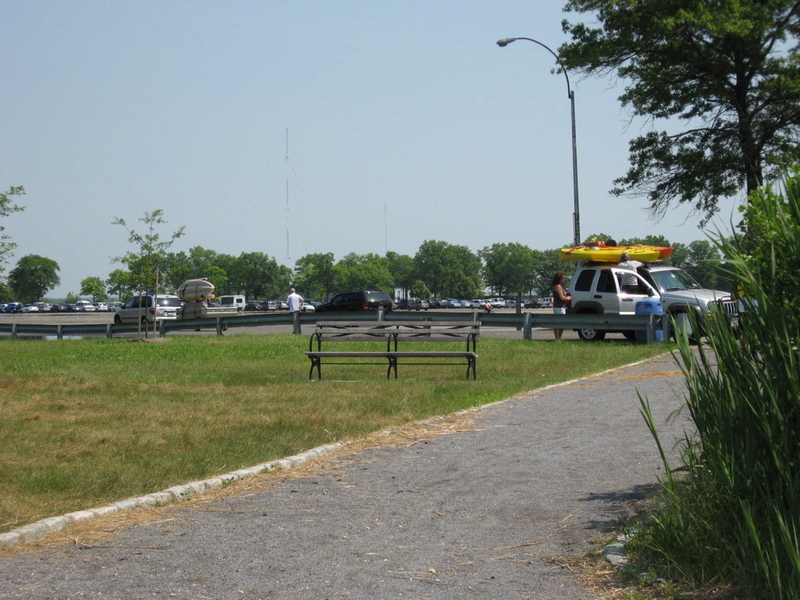 The Orchard Beach Lagoon is one of five kayak and canoe launches in the Bronx on the New York City Water Trail. 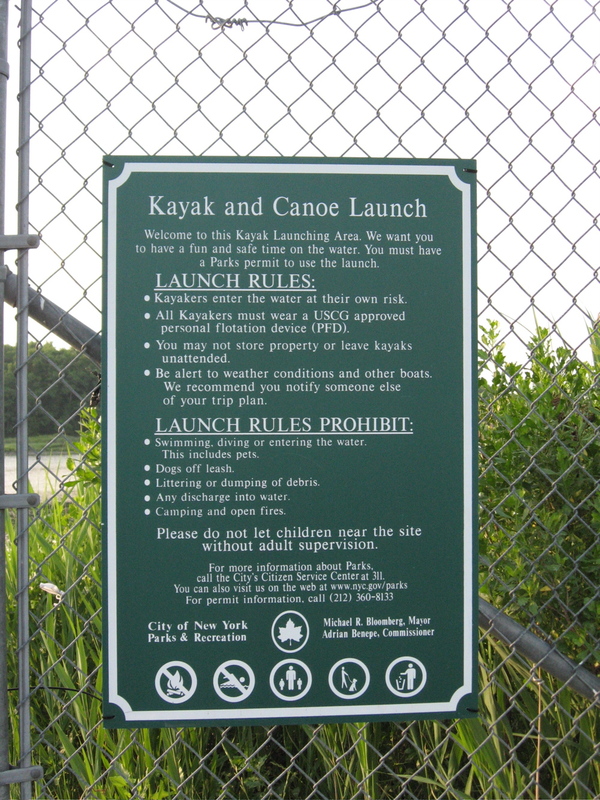 A permit is required to put a canoe / kayak in the water (it’s accessible from the NYC Parks Department). 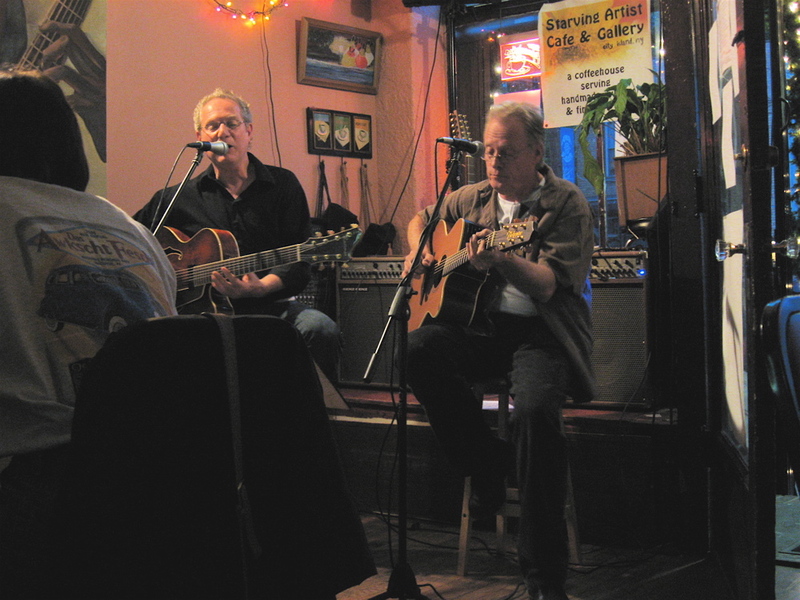 Two Guitars performing at the Starving Artist Cafe & Gallery on City Island. 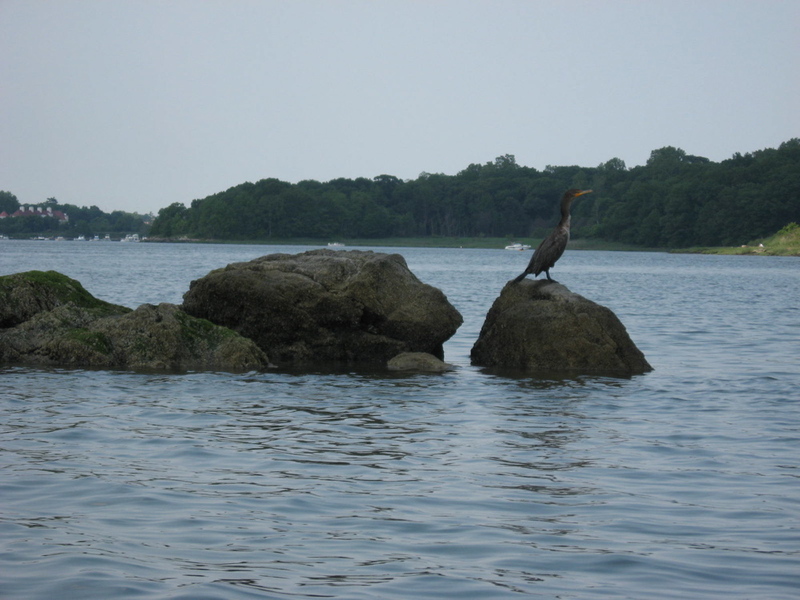 Saturday evening me and the Big Guy headed to City Island–not for overly battered deeply fried fruits de mer, but for acoustic jazz guitar at the Starving Artist Cafe & Gallery. We saw the moon, full and hanging low as we crept onto the island in a long single file line of cars with everyone else. The Starving Artist Cafe & Gallery is small, intimate, and family run, with a neighborhood coffeehouse vibe and charm that a corner Starbucks can never conjure up. Everyone seemed to know each other and the musicians, Brian Conigliaro and Gus Wieland of Two Guitars engaged the audience in a kind of name that tune. The musical selections weren’t quite what I’d call jazz (Come on people now smile on your brother and a song called “The Wind” by Circus Maximus), but their version of Santana’s “Black Magic Woman” filled that famous intro with fingerpicking and fret work that flowed very nicely on acoustic guitar. Poet Ellen Ruth Topol at Starving Artist Cafe & Gallery on City Island. 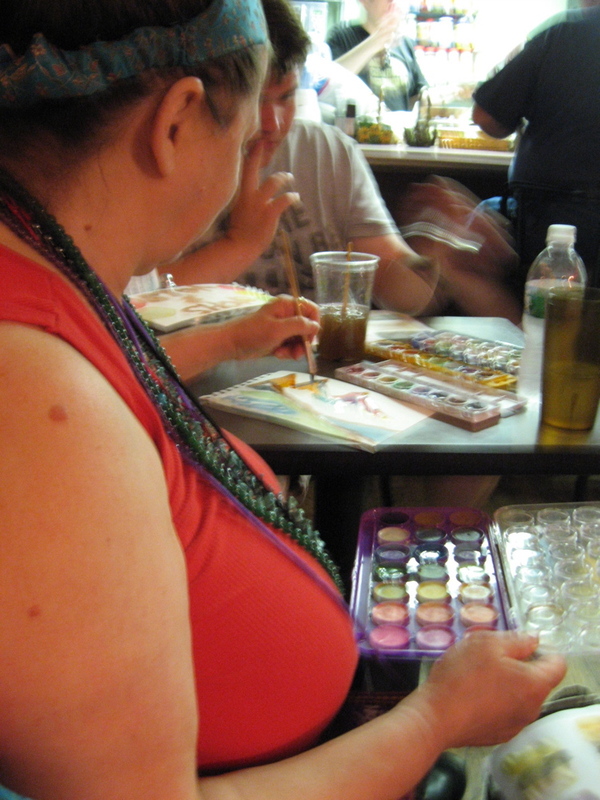 We met Ellen Ruth Topol, a poet and City Island resident, who was painting to the music from a complete watercolor set splayed out all over her table. Ellen brought us up to speed on the happenings at the cafe (game nite, open mic, Japanese gypsy rock). She has recited poetry there (on the cafe’s 5th anniversary). I’ve meet very few people in New York who call City Island home, maybe three. I asked Ellen what do City Islanders do on summer weekends with all the traffic? How do you get around? She said you either stay at home, on the island, the entire weekend or leave on Friday and come back on Sunday, there’s no travelling back and forth anywhere. We told her we’d come back to the cafe. The price is right, five bucks per person minimum and a “pay what you wish” music cover. But next time we will bike on to the island. When we were leaving the cafe, Ellen told us that Sunday (June 7th) was Buddha’s Enlightenment Day, a day for prayer when the moon is full. 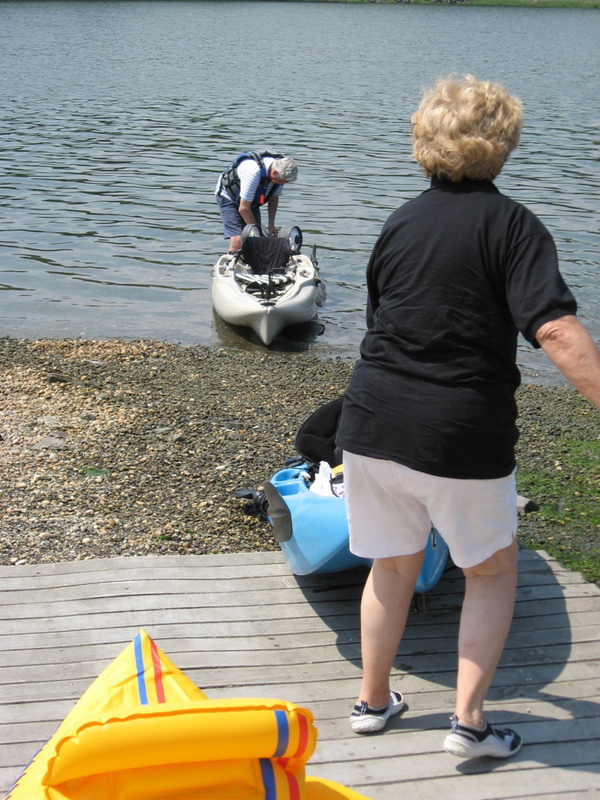 It was a lovely send off as we stepped back onto City Island Avenue weaving in and around people queued up for shrimp and fish and others toting white plastic bags full of what they couldn’t eat.